I had the pleasure of being invited to give a plenary lecture at the 79th Annual Meeting of the American Mosquito Control Association held in Atlantic City, NJ, in February. The annual meetings of the AMCA are typically large and busy events with over 800 delegates and industry sponsors. The 2013 meeting was of particular interest for a couple of reasons. Firstly, it celebrated the 100th anniversary of the New Jersey Mosquito Control Association. New Jersey was the region where many of the most effective mosquito management strategies were developed, from habitat modification to community education and from pesticide development to research into personal insect repellents. Secondly, North American experienced one of their largest outbreaks of West Nile virus in 2012 and, in combination with work currently underway to manage the exotic dengue vector Aedes albopictus, the meeting promised to be filled with some interesting presentations. The full program is available here. The title of my presentation was “Mosquito management in Australia: Emerging risks and environmental constraints”. I touched on many of the issues facing local authorities in Australia from the threats of exotic mosquitoes and pathogens, a change climate, urban development and wetland conservation. These issues are shared with many regions in North American, particularly Florida and California where residential developments are either encroaching on local wetlands or are constructing wetlands as part of stormwater management programs within these new developments. The abstract of my presentation is below. 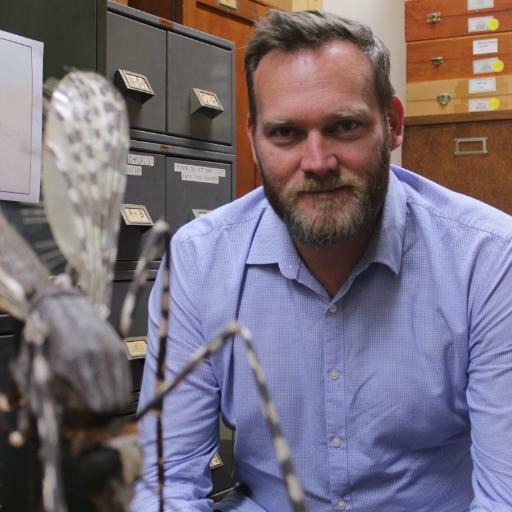 Mosquito-borne disease management in Australia faces challenges on many fronts. Increasing coastal urbanisation is bringing the community closer to productive mosquito habitats but environmental management of coastal wetlands is often in conflict with effective mosquito control strategies. Concerns regarding the indirect impact of broadscale mosquito control on local insectivorous bat populations have resulted in a reluctance of authorities to approve control programs. As a result, local authorities are turning to urban planning strategies in an attempt to minimise the risks to the community. Extensive flooding of eastern states in association with prevailing La Nina weather patterns has seen the re-emergence of the potentially fatal Murray Valley encephalitis virus. In addition, a virulent strain of Kunjin virus has had significant veterinary impacts across eastern states. Over the same period, the south west coast of Australia experienced some of the highest rates of Ross River virus infection and local authorities struggled to manage unusually large estuarine mosquito populations. As the east coast returns to hot and dry summers in association with La Nino weather patterns, concerns are being raised as to the potential risks associated with Ross River virus and Barmah Forest virus as estuarine habitats become more suitable for pest and vector species. In addition to these potentially enhanced conditions, major estuarine wetland rehabilitation projects are underway that hold the potential to significantly increase the abundance of local mosquitoes. The risks associated with dengue transmission remain in Far North Queensland. There is much debate surrounding the potential introduction and spread of Aedes albopictus into mainland Australia in combination with predicted southern movement of Aedes aegypti. Water Sensitive Urban Design strategies are intended to increase water conservation through water storage in new residential developments. In combination with general water hoarding behaviour of the community during extended periods of below average rainfall, could we be creating conditions for potential dengue activity in our major metropolitan areas? These issues will be discussed and illustrated by local case studies. 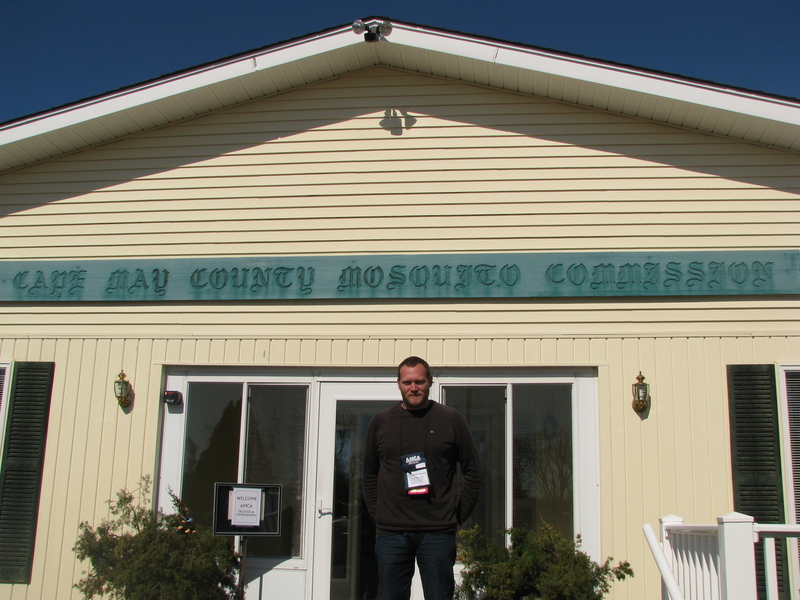 As part of my visit, I had the opportunity to travel to the Cape May Department of Mosquito Control. The facility itself is close to 100 years old (although only a few buildings still remain from the “old days”) and was even used to house German POW during WWII. It was a pleasure to speak to Peter Bosak (Superintendent) and Ed Sokorai (Wetlands Specialist) about the issues they face in mosquito control throughout the extensive saltmarsh environments of southern New Jersey.